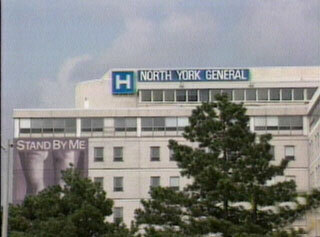 Lots has been said about wait times in Ontario hospital emergency rooms. The debate has raged between, “way too long” and “way too long.” Not much to brag about to your friends out West. On Wednesday my wife “sprained” her ankle on her way out the door. (Yes, going to work is hazardous to our health!) After calling Tele-Health soon after she took some painkillers and iced her ankle. By dinner, she was walking around. Around 11pm she was screaming in pain. After more painkillers and ice we got a hold of Tele-Health who advised us to head to the hospital for X-Rays. So we packed books and food and drinks and headed towards North York General. We left home and were back home in less than an hour! Yes, you read that correctly. Less than an hour, door-to-door. Amazing! From parking, to registering to triage, to waiting, to x-rays, to diagnosis. No break. Just a tensor bandage. We declined the crutches that were offered. And it doesn’t end here. The X-Rays were forwarded and a “tiny tear” was found so we got a phone call the next day. doctor said nothing serious but let’s take a look to see what we should do. Appointment booked for Tuesday. Many people like to bash our “social medical system”. Call it social or call it public. I call it a medical system that works. And I’m thankful for that. What is your Canadian hospital success story?